Dell does not always include a picture of its Dell Mini 9 Notebook in its latest TV ads. It does not have to. In one ad, the TV audience sees a Dell employee searching for the company’s latest chip. That employee is down on his hands and knees, and he appears to be using a magnifying glass. Finally he retrieves the lost chip; he picks it up, using a pair of forceps. A TV viewer can appreciate the fact that the new Dell chip takes up little space. It would fit comfortably in an ultra thin laptop computer, a computer such as the Dell Mini 9 model. Computer users who have had to cut their expenses can feel relieved that changes in technology are keeping pace with the demands for consumer bargains. Before 2008, the term “budget notebook” referred to a rather bulky laptop computer. There was a more portable notebook, but few consumers could claim the ability to pay for such an expensive item. 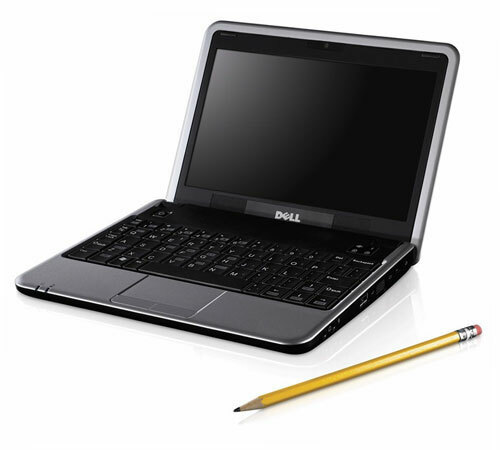 Now, however, an on the go computer user can easily foresee the day when he or she might have saved up enough money for a Dell Inspiron Mini 9 Notebook. No one can dispute the fact that the price of this laptop reflects its undersized nature. No one can say that this extra small notebook appears to be a tad bulky. It weighs a mere 2.28 lbs, and, when closed, it is only 1.07 inches thick. Still, the keyboard on that Mini 9 Notebook should not be pointed to as the reason for the great demand for that new technology product. Granted, that keyboard is a full 89% as large as a standard keyboard. 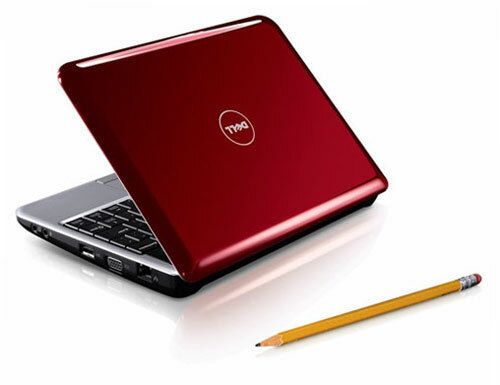 By all accounts, however, that keyboard has not caused consumers to place their names on any store list, a list of those who want to buy a Inspiron Mini 9 Notebook. At the same time, one would be hard put to find any consumer who had sought out one of the thin Dell Notebooks simply because it offered advanced wireless options and an optional external optical drive. One would have to look high and low in order to find any consumer who had ordered a Mini 9 Notebook due to the fact that it came with the latest GMA 950 integrated graphics. Consumers are demanding the Mini 9 Notebook because it has been priced so reasonably. Whether that Notebook has Linux software or Windows XP, it still does not set the consumer back more than $400.00. That feature has caused another reviewer to suggest a new term, one that seems to match with the features on Dell’s newest laptop computer. Anyone who still hesitates to try this strangely thin and light laptop should think back to the time when he or she was still going to school. Think back to a time when a new kid walked into the classroom. That new kid might have seemed strange at first, but then he or she might also be the person who eventually became your new best friend.